The future looks bright for Jordan, 25, from Ryhope after the young engineer’s research at the University of Sunderland has led to a revolutionary use of nanotechnology, which could potentially save businesses millions. 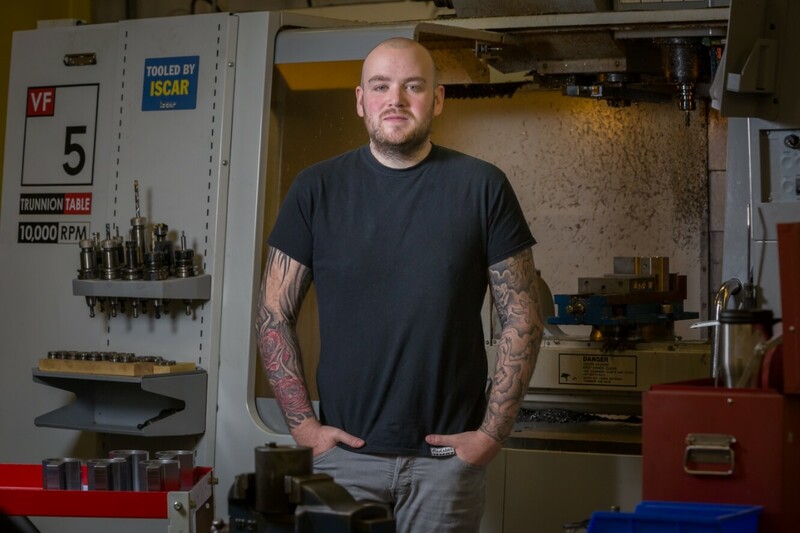 Two years ago Jordan was serving his apprenticeship at Express Engineering in Team Valley, when the economic downturn led to him being made redundant. Jordan bounced back and landed a post at Nissan as a Quality Engineer, and decided to return to university to top-up his HNC to a full degree. But his years as a CNC turner never left him, and led to him coming up with a patent to help out his former discipline. 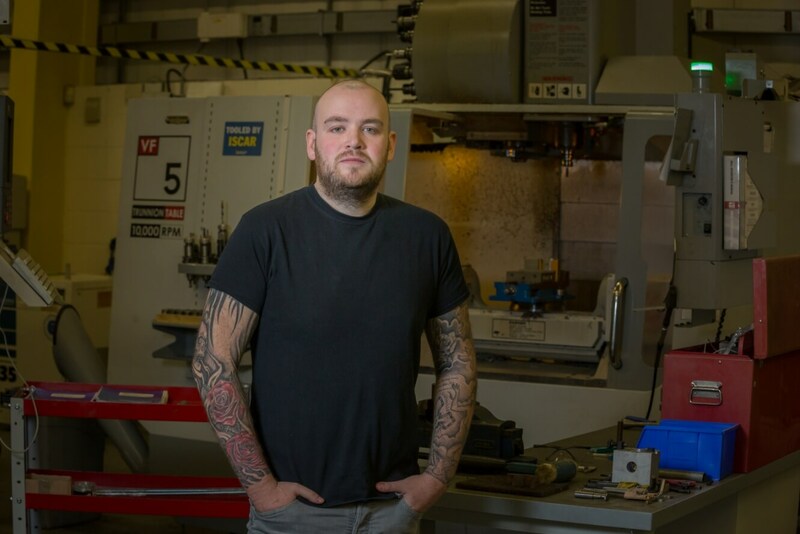 “CNC machines have a glass safety screen which allows you to see all of the tooling and cutting that’s going on inside the machine,” says Jordan. “But the operator’s view of the inside of the machine is often obscured by the coolant liquid that’s applied to the tool. Jordan had read about early experiments applying nanotechnology repellents on car windscreens, and began to research the technique. Jordan perfected the nanotechnology coating so it could be simply and quickly applied to CNC machines’ glass viewing panes. Working with local business NSERT Jordan was able to significantly cut down on their expenditure. From November 2016 their scrap quantities went down from five per cent, to three per cent in April 2017. Their rework time went down from three per cent to one per cent. The technique also had an impact on downtime. When tooling damage occurs, it’s not simply a matter of restarting the machine, the company have to get a specialist from the machine’s manufacturer to reset the machine. With Jordan’s nanotechnology coating NSERT managed to get that downtime down to more or less zero. Derek Dixon, Senior Lecturer in Engineering supervised Jordan at the University of Sunderland. He says: “Though Jordan only joined us on the final year of his degree, he has demonstrated academic and personal characteristics that identify him as being an outstanding student and individual. Jordan has now patented his technique for the UK, China and the USA, and is preparing to launch his own company, Nano Nano with the support of the University of Sunderland’s business start-up team in the new Hope Street Xchange. He says: “I’d like to study for a Masters degree and do some further research into applying my patent to other fields. But Jordan admits that he is surprised how successful and popular his idea has proven to be. 100% of Sunderland’s Engineering graduates are in work or further study within six months of graduating, with 96% of these in professional or managerial roles. (Source: 2014/15 - Destination of Leavers from Higher Education survey) and Engineering at Sunderland has a 100% student satisfaction rate according to the NSS (National Student Survey). In addition Sunderland’s School of Engineering programmes are in the top five in the UK (Guardian University Guide 2016).